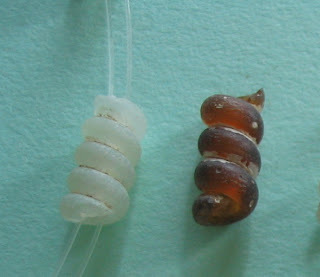 These 2 coil beads were purchased at the same time as the chinese glass ornaments described in earlier two posts. Here are some smaller specimens. Previously I thought they belonged to the tradewind category and going as far back as the 12th century but now it looks like they are also Ming dynasty. According to the book Zhong Guo Gu Dai Bo Li Jian Shang Tu Lu, these coil beads are quite plentiful, (though ironically I have only this handful to show) and they are therefore lowly rated at only 3. 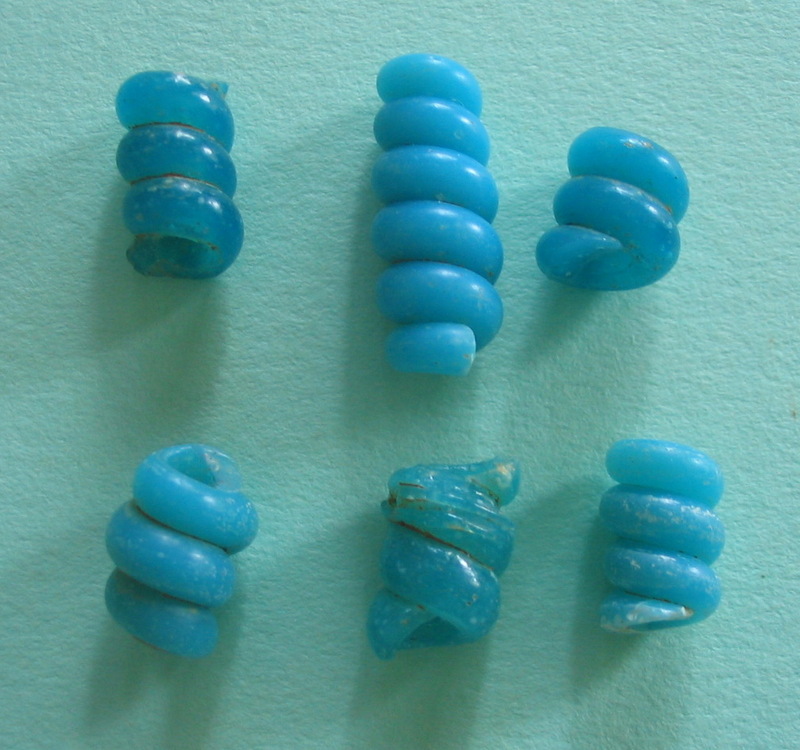 Here are some blue glass coil beads which are in better condition and with more turns. 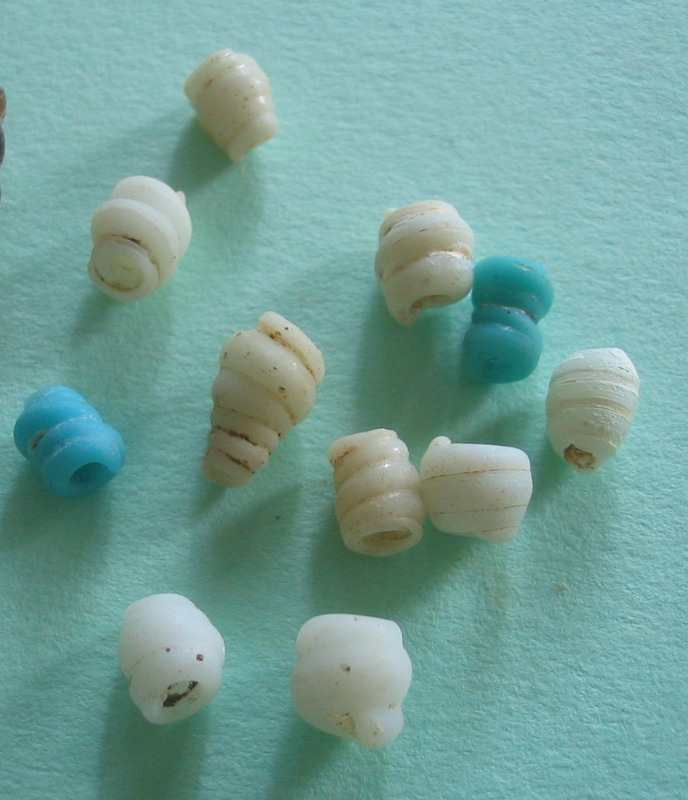 These were collected from South Vietnam but may have a similar vintage and origin as the Chinese coil beads. However these examples were not included in Zhong Guo Gu Dai Bo Li Jian Shang Tu Lu.